The first step towards your new home! With 'Custom Built' homes, you are always searching for the one perfect design. A design that has everything you want and that suits your block of land. This can be a very frustrating process and often designing your home from scratch is the result. If you do decide to design from scratch, choose your builder first, then work closely with the builder and his professional design team to be sure the home is the latest in innovation, fits your needs and desires, and can be built within the budget that you have established. Over the years we have seen many people who consulted an architect first. 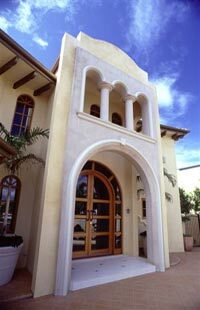 Many architects design very few custom homes and the end result is not what the customer expected nor wanted. After spending tens of thousands of dollars on design plans and many frustrating months, the customer is left with a home that can be hundreds of thousands of dollars over their budget, or even a design that is really not that great. Your dream home will truly be your dream home if you choose the builder first, making him the horse and the designer the cart. Kerry believes the key to his success is not the number of Homes built per year, but the attention to detail and having clients who feel good about where they live. This record and philosophy has been maintained to date and is still the company's strongest asset. 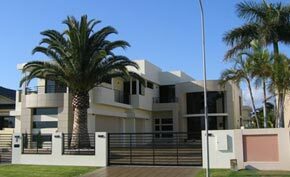 Stewart Homes offers a full design service including home, landscaping and swimming pool designs. The company will design and build whatever style and size home the clients prefers, but will not compromise construction standard. Kerry is a firm believer in training the younger generation as he was once trained himself. Four of Kerry's carpenters have completed their apprenticeships with Stewart Homes and are now a valuable part of the skilled team. By using the builder's designer. The process will be much easier if you prepare a "must have" want list first. By showing this designer some floorplans of homes that appeal to you, they can then combine various elements of those homes such as baths, living areas, kitchens, etc. to fit your needs. "If you make changes during construction ask that the change be put in writing. The cost should be established prior to the change being made." The first meeting should be held at the homesite and the home designed to maximize the sites assets and minimize any liabilities the site may have. You should choose your focal point, which may be the pool, a view such as a golf course, water, or a special tree. The home should be built around this focal point with every room having a dramatic view. Most Builders offer the services of an interior decorator to help choose the interior and exterior colours and materials for the home. This person can help make the experience of building your new home a pleasure. The decorator has many different samples and makes the decorating task easy. I would suggest you use the builder's decorator even if you are a decorator yourself. The builder's decorator knows the selection sequence and how to make the task easy for both of you. 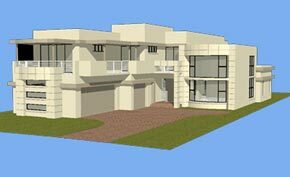 You will view many different homes and floor plans offered by builders. When you agree to a specific home it is very important that the plans be modified to reflect the home, as it will be built. You and the builder should initial those plans. If changes are made during construction the original plans should be changed and all previous copies, before the changes should be destroyed. This will help eliminate mistakes. Specifications are probably the most important part of the agreement. Since it is so easy to forget things in today's hectic world, the complete home should be described in writing. The builder should offer specifications detailing exactly the items to be included in the home. The specifications should offer not only what is provided, but also what is not provided in the home. Those specifications should also be signed and agreed to by all parties. Should you make changes, or any of the specifications seem vague or unclear they should be amended so that you, the Buyer, and the Home Builder have a clear, 20/20 vision of the finished home. With clear concise plans and specifications, there are no grey areas and everyone knows what is expected and what the end result will be. Without this communication, errors are bound to occur causing stress for all parties. CAUTION: The specifications should be at least 20 pages long. Anything less than that does not adequately specify what will be included in the home and offers opportunities for problems. If you make changes during construction ask that the change be put in writing. The cost should be established prior to the change being made. This will eliminate all surprises and you will remain friends forever. When the plans and specifications are complete, you should receive a firm price for the home. This price should complete the home as specified on the chosen homesite. I would highly recommend the firm price method over any form of cost plus agreement. A cost plus agreement removes the incentive of cost control by the builder and you are leaving yourself wide open to many unpleasant surprises. Good business says to know the final outcome at the beginning to eliminate the surprises. The quality of homesites can vary greatly. I would suggest that you have a builder look at any homesite you are interested in purchasing prior to agreeing to the purchase. In addition, never purchase a homesite without having a soil test performed on the lot to be sure the soils are buildable. The builder should alert you to this need and have this test performed for you at your expense. Many times, the purchase of a homesite is conditioned upon satisfactory soil test. It is further conditioned upon satisfactory percolation test if a septic system is required. I have seen the cost to correct soil problems run $50,000.00 and higher. Therefore, please spend a small amount for the soil test. It is the least expensive insurance that you can purchase!